Saurashtra trounced Ranji Trophy champions Vidarbha by eight wickets. Saurashtra trounced Ranji Trophy champions Vidarbha by eight wickets for a hat-trick of wins, helping them seal a quarterfinal berth in the Vijay Hazare Trophy on Wednesday. 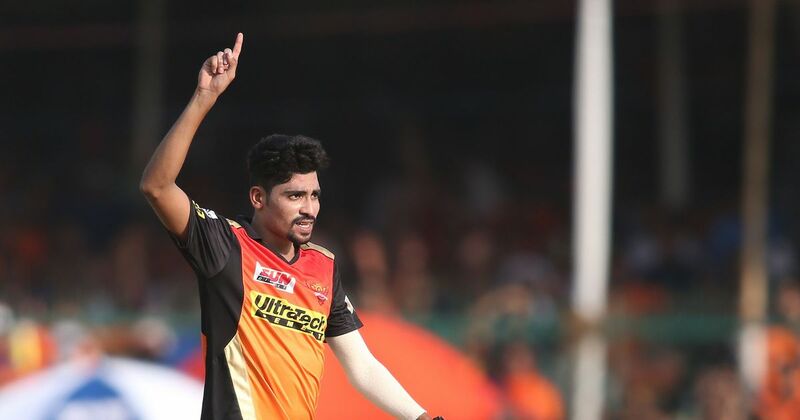 Hosts Hyderbad rode on pacer Mohammed Siraj’s 5/37 to hammer Chhattisgarh by 84 runs and join Saurashtra in the last eight as Group D toppers. Saurashtra edged out Vidarbha on a better net run-rate for the second spot as it was heartbreak for the reigning Ranji champions who were leading the group with four successive wins before back-to-back defeats knocked them out of the competition. In a must win match, Vidrabha batsmen struggled to get a partnership going before being bundled out for 159 in 40.5 overs after Saurashtra captain Cheteshwar Pujara opted to field at the AOC Centre Thapar Stadium in Secunderabad. Jaydev Unadkat (2/18) and Shaurya Sanandia (2/33) gave the early breakthroughs before Kamlesh Makvana (2/9) and Dharmendrasinh Jadeja (2/32) wrapped up the issue. Wicket-keeper batsman Avi Barot steered the chase with an unbeaten 91 off 114 balls (13x4, 2x6) while skipper Pujara remained not out on 46 off 74 balls (5x4) to seal the chase with 170 balls to spare, which was enough to go past Vidarbha on NRR. Saurashtra’s quarterfinal hopes had received a setback after two losses in a row including a shock defeat to Jammu and Kashmir. But they have turned it around in style with three comprehensive wins over Jharkhand, Services and Vidarbha. At the Gymkhana Ground in Secunderabad, Hyderabad overcame a jittery start to post a challenging 280/8 with Bavanaka Sandeep as their top scorer on 79 while skipper Ambati Rayudu (46) and T Ravi Teja (45) also chipped in with valuable contributions. 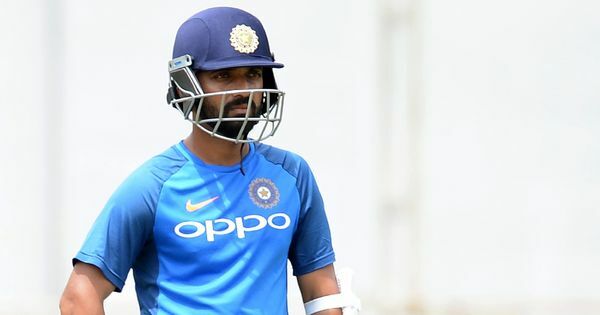 In reply, Chhattisgarh were bundled out for 196 in 44.3 overs with Siraj returning with his second List A five-wicket haul, while left-arm spinner Mehdi Hasan claimed 2/28. Vidarbha 159 in 40.5 overs (Jitesh Sharma 55; Kamlesh Makvana 2/9, Jaydev Unadkat 2/18, Dharmendrasinh Jadeja 2/32, Shaurya Sanandia 2/33) lost to Saurashtra 161/2 in 34 overs (Avi Barot 91 not out, Cheteshwar Pujara 46 not out) by eight wickets. Hyderabad 280/8 in 50 overs (BP Sandeep 79, Ambati Rayudu 46, T Ravi Teja 45; Pankaj Rao 3/52) beat Chhattisgarh 196 in 44.3 overs (Amandeep Khare 71, Sanjeet Desai 47; Mohammed Siraj 5/37) by 84 runs. Jharkhand 296/9 in 50 overs (Virat Singh 96; Parvez Rasool 3/46, Umar Nazir 3/71) beat Jammu & Kashmir 199 in 46 overs (S Pundir 74; Ashish Kumar 3/23, Vikash Singh 3/37) by 97 runs. Skipper G Hanuma Vihari (169) and KS Bharat (105) starred in Andhra’s 29-run win over Mumbai, its sixth straight win in the Group ‘C’ League. The victory enabled Andhra finish on top of the standings with 24 points and qualify for the national knockout phase, along with Mumbai, which finished second with 16 points. The massive 254-run partnership in 204 balls between Bharat and Vihari helped Andhra post a mammoth 344 for 5 in 50 overs before restricting the opponent to 315 for 9 despite Siddhesh Lad’s strokeful ton. Meanwhile, Tamil Nadu ended its losing streak by posting a comfortable seven-wicket win over Team Rajasthan with left-arm spinner R Sai Kishore stealing the show with a five-wicket haul, his first in List ‘A’ cricket. In the other match of the day, wicketkeeper Keenan Vaz snared seven victims (six catches and a stumping) to equal the record of Mahesh Rawat and Parthiv Patel in List A matches as Goa edged Gujarat by one wicket in a thriller. Gujarat 227 all out in 49.4 overs (Priyank Panchal 26, Bhargav Merai 93, Santosh Shinde 27, Darshan Misal 3/36) lost to Goa 228 for 9 in 48.3 overs (Swapnil Asnodkar 25, Sagun Kamat 110 not out, Snehal Kauthankar 28, Piyush Chawla 3/27, Kathan Patel 3/42). Andhra 344/5 in 50 overs (KS Bharat 105, G Hanuma Vihari 169, Ricky Bhui 53; Roystan Dias 3/77) beat Mumbai 315/9 in 50 overs (Prithvi Shaw 31, Siddhesh Lad 118, Surya Kumar Yadav 27, Shivam Dube 36, I Karthik Raman 3/55). Team Rajasthan 141 all out in 38.2 overs (Arjit Gupta 27, Chetan Bist 36, R Sai Kishore 5/26, R Ashwin 2/37) lost to Tamil Nadu 143/3 in 23.3 overs (V Ganga Sridhar Raju 27, N Jagadeesan 39, B Aparajith 55*.